When we go back to our constituencies, it’s sometimes hard to explain to people what happens in Westminster because, in all honesty, it doesn’t always make sense. Try telling someone how Steven Barclay, the Brexit Secretary, could speak in favour of a motion on Thursday night only to vote against it a few minutes later. Or how MPs like us can vote to stop a no-deal Brexit last week only to be told at the end of it that such a prospect was more likely than ever. Or how a Prime Minister can suffer two of the biggest defeats in the history of Parliament on the most important issue facing the country but then, with a completely straight face, say that she plans to bring it back a third (or maybe even fourth) time. This is what Brexit has done to our politics. It’s not pretty, and we have only just begun to plumb the depth of the madness that awaits. There will be some reading this wondering why, in that case, we were among the Labour MPs who have called for a people’s vote and yet chose to abstain on an amendment that was designed to enable it. Nobody is more passionate about giving the people the final say on Brexit than us. But last Thursday’s votes were never going to be the right moment to test parliamentary support. And the amendment tabled by the Independent Group of MPs was, we’re sorry to say, more about scoring political points than anything else. We are two Labour MPs, one from the north and one from the south, who have come together to try to help Parliament and the country to find a way out of this mess. We have spent weeks talking to MPs, both Labour and Conservative, about whether a compromise solution can be found that can satisfy those who say they must honour the result of the last referendum and those who are desperately worried about crashing out with no deal – as well as all of us who believe there is an overwhelming democratic case for putting this vexed issue back to the people. Our plan would mean MPs voting for some form of Brexit deal conditional on it being confirmed by the people of the United Kingdom in a new referendum. 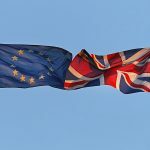 On the ballot paper would be a straight choice: a real form of Brexit – rather than some fantasy idea that cannot be delivered – which could be debated, warts and all, against the proposition of staying in the EU. We would not be asking MPs to vote for Brexit but to withhold support for any deal until the public has had their say in a confirmatory ballot. We would be taking the prospect of no deal off the table forever. And we would be giving pro-Brexit MPs who talk so much about the “will of the people” the chance to check back in with those same people. It won’t pass any purity tests among supporters of a people’s vote or Brexit, but some form of compromise is necessary to break a deadlock in Parliament that is not only humiliating for our democracy but deeply dangerous for all our futures. Other forms of compromise being touted around the bars of Westminster just don’t cut it. The so-called “Norway option”, for instance, would mean following many of the rules and regulations of the EU that Brexiters so despise – including those requiring freedom of movement – but having virtually no say in how they are made. It might offset some of the deep economic damage that other forms of Brexit threaten to inflict on business, but those branding it as an establishment stitch-up of the voting public would be right. The problem of getting a deal through Parliament without a confirmatory vote by the people is that any form of Brexit necessarily falls short of the promises made for it in 2016. Now that we know it is impossible to deliver all or even many of the benefits of being in the EU with none of the costs, it would be strange to force Brexit on people without them having any say. Nor would forcing through some form of Brexit provide the relief from the endless arguments that so many MPs and voters crave. Instead, any deal now would be filled with unanswered questions about our future trading relationship with Europe that would make the kind of panicked negotiations we have seen from the Prime Minister in recent days a fixture of our politics. The good news is that amid all the carnage and incomprehension of last week, there are signs of hope in Parliament. A number of Conservative ministers have shown they are ready to do the right thing by their country, even when it means defying Downing Street. Our own frontbench leadership is reaching a settled view that any Brexit deal – including its own – would only be approved by Parliament on condition it goes back to the people. Backbenchers who have been adamantly opposed to a people’s vote are talking to us about how our compromise would work. If or when an extension to the Brexit deadline is secured, a crunch point is coming, possibly in just a matter of a few days’ time, when MPs will have to decide. 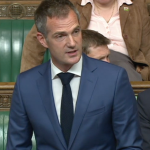 We all want to be able to look our constituents in the eye when we go home and tell them with pride that we have tried to sort this mess out, not make it worse. Brexit is breaking our politics. Let’s find a new way forward now, before Brexit breaks Britain. 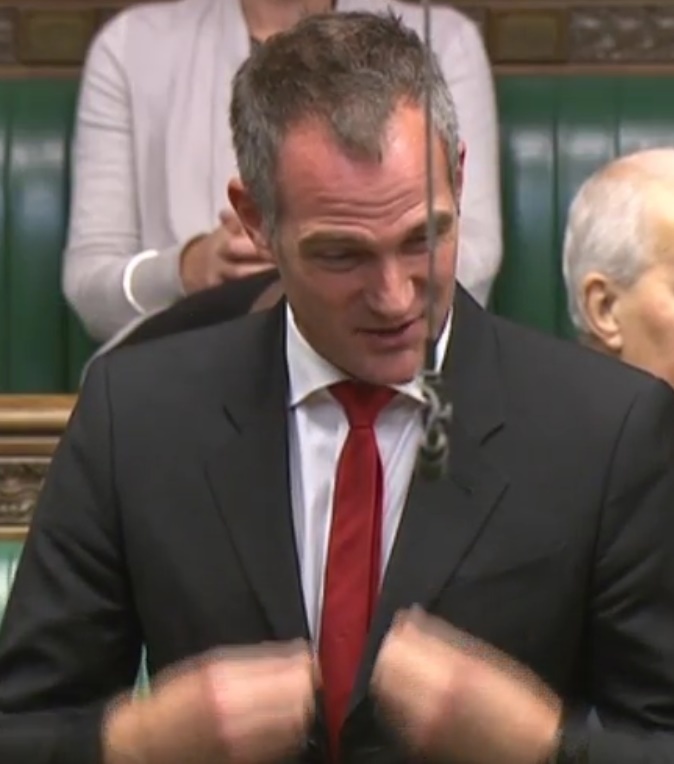 Peter Kyle is the Labour MP for Hove and Phil Wilson is the Labour MP for Sedgefield. This article first appeared on guardian.co.uk. Jeremy Corbyn’s attitude the past few years has fomented special damage (something from which there is scant chance of his credibly climbing out). The rest of Europe now has the upper hand in all this. Matters have reached a stage at which Britain should remain, and join France in debating ways in which to reform the EU. The overwhelming issue of our time is climate change, and we can only address that as a part of Europe, a significant group of countries which can confound the saloon-barstool mentality of Trump. If there was any chance of reform the wheels would already be in motion.It is meant to be a Union but seems so far away from anything resembling one. The Norway option, WON’T be available to the UK, membership of EFTA is by UNANIMOUS vote of its members, and Norwegian politicians have already said last year that they don’t want the UK in it as the UK doesn’t share the values of EFTA! Google it if you don’t believe me! Some form of Brexit deal,what in the blazes does that mean.What will be on the ballot paper?